In our attempt to increase your participation in our blog. We are starting a new forum. This would be a place wherein students would discuss on anything of their interest. We have divided the forum into major specialisations. This would help the forum act as a place for discussion of topics on Marketing, Systems, Analytics and Operations. As an inaugural article we have an abstract from our Systems Professor Mrs. P.Sridevi. Comments and discussions on each article is essential to make this forum healthy and productive. The world today is more or less dependent on computers but they cannot accomplish tasks without human direction because web pages are designed to be read by people, not machines. So how do we tackle this? The answer: Semantic Web.The Semantic Web is an evolving development of the World Wide Web in which the meaning of information and services on the web is defined, making it possible for the web to “understand” and satisfy the requests of people and machines to use the web content. It derives from World Wide Web Consortium director Sir Tim Berners-Lee’s vision of the Web as a universal medium for data, information, and knowledge exchange. Tim Berners-Lee has described the semantic web as a component of ‘Web 3.0’. Thus, the semantic web is a vision of information that is understandable by computers, so that they can perform more of the tedious work involved in finding, combining, and acting upon information on the web. Currently, the World Wide Web is based mainly on documents written in Hypertext Markup Language (HTML), a markup convention that is used for coding a body of text interspersed with multimedia objects such as images and interactive forms. Semantic HTML refers to the traditional HTML practice of markup following intention, rather than specifying layout details directly. For example, the use of <em> denoting “emphasis” rather than <i> which specifies italics. Layout details are left up to the browser, in combination with Cascading Style Sheets. But this practice falls short of specifying the semantics of objects such as items for sale or prices. Micro-formats represent unofficial attempts to extend HTML syntax to create machine-readable semantic markup about objects such as retail stores and items for sale. Here is where, Semantic Web takes the solution further. It involves publishing in languages specifically designed for data: Resource Description Framework (RDF), Web Ontology Language (OWL), and Extensible Markup Language (XML). HTML describes documents and the links between them. RDF, OWL, and XML, by contrast, can describe arbitrary things such as people, meetings, or airplane parts. With the Semantic Web, computers will scan and interpret information on Web pages using software agents. These software agents will be programs that crawl through the Web, searching for relevant information. They’ll be able to do that because the Semantic Web will have collections of information called ontologies. In terms of the Internet, an ontology is a file that defines the relationships among a group of terms. For the Semantic Web to be effective, ontologies have to be detailed and comprehensive. In Berners-Lee’s concept, they would exist in the form of metadata. Metadata is information included in the code for Web pages that is invisible to humans, but readable by computers. 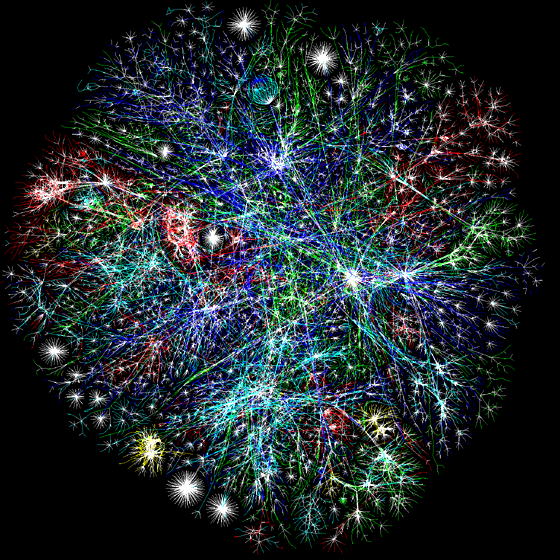 One very promising application area of the Semantic Web is Knowledge Management. The studies are classified into four areas: developing infrastructure and architecture, killer applications, business management issues and other social issues. More recently with the advent of the Web 2.0, the concept of knowledge management has evolved towards a vision more based on people participation and emergence. This line of evolution is termed Enterprise 2.0. However, there is an ongoing debate and discussions as to whether Enterprise 2.0 is just a fad that does not bring anything new or useful or whether it is, indeed, the future of knowledge management. Enterprise 3.0 is now at an infant stage due to the emerging of semantic web. Early KM technologies included online corporate yellow pages as expertise locators and document management systems. Combined with the early development of collaborative technologies (in particular Lotus Notes), KM technologies expanded in the mid-1990s. Subsequent KM efforts leveraged semantic technologies for search and retrieval and the development of e-learning tools for communities of practice. More recently, development of social computing tools (such as bookmarks, blogs, and wikis) have allowed more unstructured, self-governing or ecosystem approaches to the transfer, capture and creation of knowledge, including the development of new forms of communities, networks, or matrix organizations. However such tools for the most part are still based on text and code, and thus represent explicit knowledge transfer. These tools face challenges in distilling meaningful re-usable knowledge and ensuring that their content is transmissible through diverse channels. Semantic Knowledge Management is a set of practices that seeks to classify content so that the knowledge it contains may be immediately accessed and transformed for delivery to the desired audience, in the required format. This classification of content is semantic in its nature – identifying content by its type or meaning within the content itself and via external, descriptive metadata – and is achieved by employing XML technologies. One very promising application area of the Semantic Web is KM. The above figure shows research areas on the Semantic Web for KM. The studies are classified into four areas: developing infrastructure and architecture, killer applications, business management issues and other social issues. Capabilities such as semantics and machine-processability, enabled by Semantic Web technologies, give the Semantic Web-driven KM system the potential for semantic integration and reducing information overload. Ultimately, the Semantic Web-driven KM system supports KM processes by overcoming the limitations of systems integration and knowledge search embedded in the existing KM system. The KM system, based on the Semantic Web, supports each KM process in innovative ways that the existing KM system is incapable of providing. Posted in IT n Analytics, Management Forum!! !